This smoothie is one of my go-to recipes. I use frozen mixed berries that I usually buy in a big bag. I also love my Ninja blender because it takes one minute to blend all of the ingredients together. I just push my ON button and walk away. When I come back, it is done mixing. If you’re worried about tasting the greens – AKA spinach – with this smoothie, don’t worry! The berries and yogurt hide the spinach flavor and you’ll still get the added nutrients from it! That is what I truly love about this smoothie – you are getting fruits, veggies, and milk/protein all in one delicious tasting smoothie. There are other options that I use to make this smoothie. My fruit usually doesn’t last long in my fridge, but when it looks like it is starting to go bad, I use fresh fruit in my smoothie. If you use fresh fruit, then you need to add in ice to your smoothie because the ice is going to give your smoothie that rich and creamy consistency instead of a liquid consistency. The yogurt that I like to use is vanilla flavor. 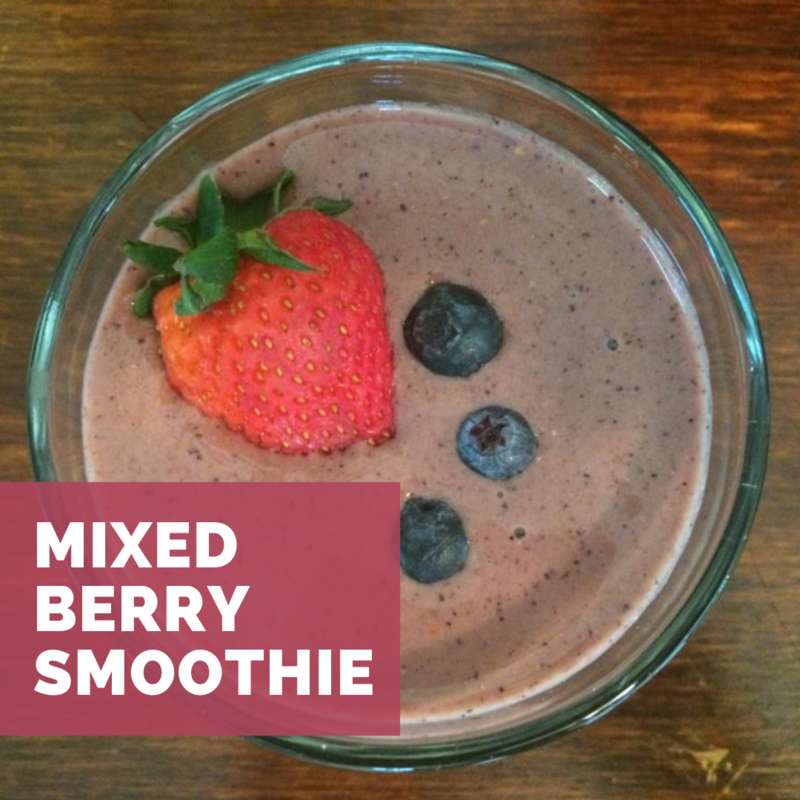 To make this smoothie, you need 1 cup of fresh spinach, 1 cup of frozen mixed berries, 1 cup of vanilla yogurt, and 1/2 cup of water. You put all of this in your blender and mix until smooth. Your smoothie is done! It is that simple and so good for you! If you prefer fresh fruit - substitute the frozen berries for fresh and add ice. 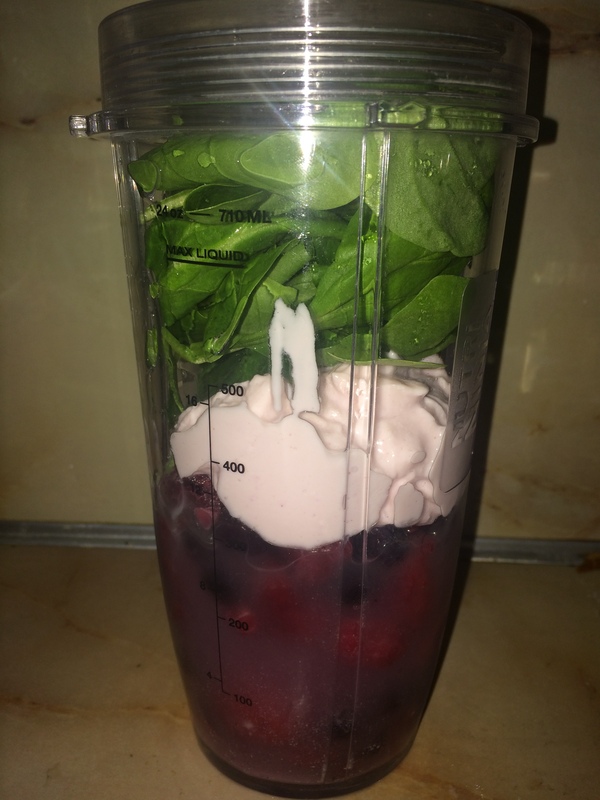 Combine spinach, berries, yogurt, and water into blender. Mix until smooth.